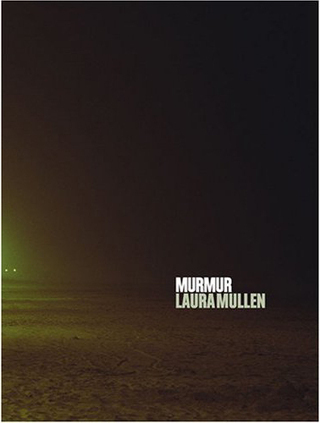 CHF: Murmur is a complicated text to categorize, consciously evoking multiple genres. The text seems to simultaneously be fiction, poetry and memoir, while it also functions as a detective novel, literary prose, and a meditation on language. Would you explain how these multiple angles cohere into your vision? LM: The book started as a playing with the genre of the murder mystery, but it was always also ‘about’ a whole bunch of things that start with the letter “m”: the medium itself and memory, marriage, murder, etc.. I called it M for a long time. But in Michel Foucault’s essay “What is an Author?” (at least in the translation) he discusses intertextuality as a “murmur.” Hearing how that word holds “murder,” “mother,” and “memoir” helped clarify the project. I’m not sure it’s helpful to categorize the book, though watching how it gets categorized is very revealing. CHF: Tell me a bit more about the elements of memoir. LM: “Forensics” is memoir, and a lot of this book is about me trying to deal with my mother’s depression: her desire seemed dead, and her happiness, her sense of possibility. I wanted to know why she had faded and whose fault it was. Frankly... I worried I had killed her: I always was afraid that she maybe could have been an artist (she wanted to be an artist) but that having children had deferred that dream. CHF: You’ve said that this book is part of a trilogy, beginning with the Gothic, The Tales of Horror. Murmur is the murder mystery. Finally, the trilogy will be completed with a romance. LM: Yes--all three come out of the books that I read with my mother. The books mostly written (and read) by what Nathaniel Hawthorne called “the damned scribbling women.” I’m interested in the relationship between genre and gender, and the fact that we are drawn, again, and again, to the same stories. Why do women want to read about women being murdered? CHF: Complementing the multiplicity of genres, there is a multiplicity of voices... no (at least in my mind) singular protagonist or villain. Can you discuss some of the voices? LM: I deliberately undid the crucial fact about this genre: it is immensely satisfying to know who done it. I removed the singular, individual guilt. Our problems occur within the context not just of a family, but a society/a culture/a moment. In Murmur the people who are trying to solve the case (maybe even the victim) are among the guilty. And the criminal may be trying to be caught. The collage technique enacts this diffusion of responsibility. CHF: Misogyny is evident in a lot of “boys’ club” type scenes in the book: the legal system, the crime scene turned locker room. Not all of the men are misogynistic, but they do all seem to exist in this universe of misogyny. LM: I’m a feminist because I’m a humanist. I want to open the possibilities for men as well as for women. The man on whom I based the character of the detective was someone I loved very much, someone who had real difficulties negotiating with his own creativity. I wrote and rewrote trying to understand not only a woman’s situation, but a man’s. The ways we try to know the world decide what world we come to know. I wanted to find more ways—for myself, and others. CHF: “Demonstrating Bodies” considers the fragility of human memory, the limits of language, and the false authority of the artist. We are left to wonder if there was ever a body on the beach or only a body on the cover of a book being read on the beach. Ultimately, it raises the question of what is real. Does it need to be tangible to be real? Do we need evidence? Witnesses? Can you expand on the concept of reality, especially as we process it in our minds, through our language, and in art? LM: This section cites the 1927 Brancusi Trial, which put the definition of art (abstract art) on trial in the United States. It’s an extraordinary case. I think what we’re coming to understand is that there is a complicated relationship between our fictions (and of course that is what our definitions are: fictions) and our realities. There are some basic physical realities, but even those are constructed imaginatively in the way we represent them to each other: our decisions about what we will allow into the field of representation and how we will categorize it, determine what’s possible for those who come after us. CHF: With the “Killer Confesses” section of poems, there’s this fundamental disconnect. I don’t get a sense of the woman: did the speaker even know she existed, except as the unequal half of the power dynamic? LM: It’s another way of killing someone. You can kill them literally; you can also kill someone by treating someone like a cliché. Because she’s so restricted by his idea of her. But then, in one poem--in a dream (an alternate way of knowing)--she tells him he can’t proceed this way and she reaches out and bloodies his shirt. She becomes the writer at this moment. She reaches out and makes a mark--but it’s only temporary. CHF: I’m going to get a little personal with this next question. About halfway through the book, I felt like the text told me what it was all about. Not just what the book was all about, but you know what it is all about – life, language, relationships, the journey. I’m going read you this brief section and ask you to comment. LM: Absolutely! I tried to write a text that was true to the uncertainty. In a murder mystery we not only know “who dun it,” we know why. But in reality it turns out that there is this fact or that fact or a certain point of view left out. I let that state of uncertainty be an experience: spending time with questions not answers. So almost every passage comes to an unpunctuated end in the middle of a sentence: sometimes a voice cuts off because other stories ride over the one being told, or thoughts trail away, or the person we were listening to falls silent, or we become distracted, maybe we’ve moved off—or moved on, as we say. We impose neat endings, but essentially every encounter is unfinished and impossible to categorize. And many other possible other sentences—and their endings, which are also starting places--still exist, along with what we did do or say.